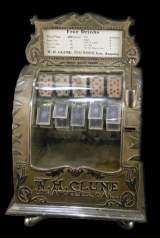 Coin-op Trade Stimulator published 119 years ago by Clune Mfg. Victor © 1900 W.H. Clune.